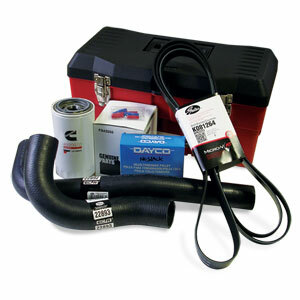 Many Dodge Cummins Turbo Diesel truck owners have requested a collection of spare parts that could be stored away in case of a problem while traveling in the boonies. Thus, the prepackaged "Boonie Box." Aside from the prepackaging that we've done, you will also appreciate the +5% cost savings that the prepackaged box represents.